The Gellatly Nut Farm, located on the west side of Okanagan Lake, is one of the oldest working nut farms in Canada. The farm is home to over 800 nut trees and shrubs, including the beloved heartnut, named for its production of a nut that looks, both inside and out, like a heart. 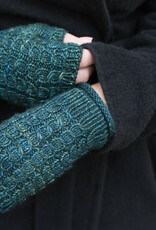 These mitts are knit bottom up, with an all-around heartnut inspired cable. 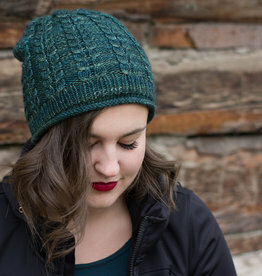 Pattern includes options for three sizes. YARN/YARDAGE: DK/light worsted weight yarn approx. 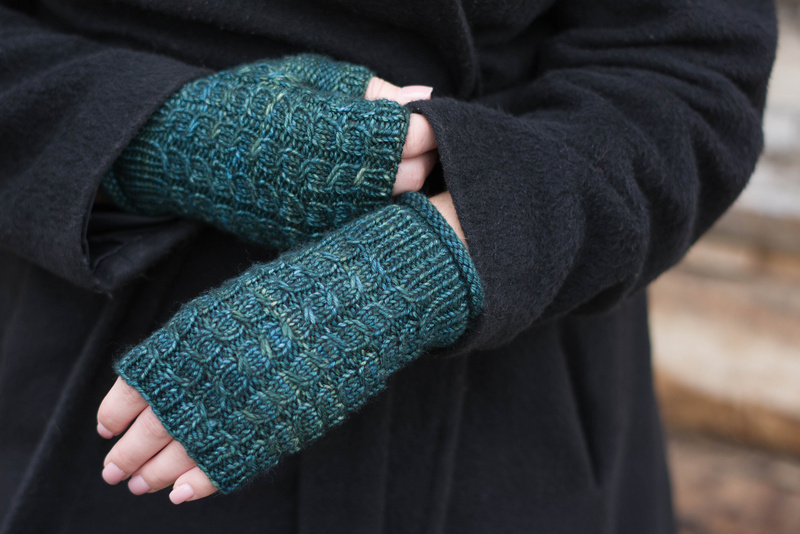 80–140y (35–60g), depending on size and style knit. GAUGE: 25 st over 4” / 10cm in pattern and stockinette stitch, with larger needles, after blocking. SIZING: child (adult S/M, adult L/XL) to fit hand circ. : 6 (7, 8)” / 15 (17.5, 20)cm. 5½ (6½, 7½)” / 14 (16.5, 19)cm around by 6½ (7, 7½)” / 16 (17.5, 19)cm long. All measurements taken after blocking.